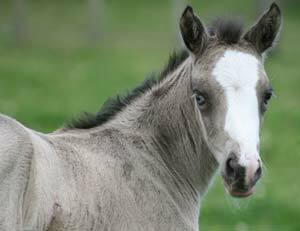 A very classy sweetheart filly finally put in an appearance in Nelson, for Jan Rae. Congratulations Jan and many thanks! 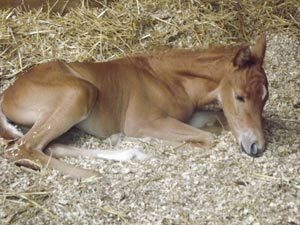 Congratulations to Rebecca Clay on the safe arrival of this beautiful filly. First time mum Temma (TB cross) was relaxed enough to foal at 10 in the morning on 31 December. This is Mighty Luminous' first double dilute baby. How rapt would you be to find this in your paddock?! Congratulations to Nikki and Peter Keen (and Rosie - an extra lovely Kaimanawa pony mare) on Mighty Luminous' first pony baby. 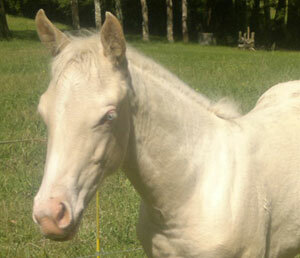 A buckskin filly with characteristics, born 13 November.